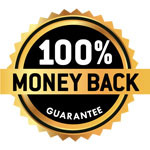 All our SPECTEC Replacement Laptop Batteries are guaranteed to meet or exceed OEM (original) specifications backed by 30 days money back guarantee. How can I maximize the performance of my SPECTEC laptop battery? Keep the SPECTEC laptop Batteries Clean - It's a good idea to clean dirty battery contacts with a cotton swab and alcohol. This helps maintain a good connection between the battery and the portable device. What is the run time of SPECTEC laptop battery? Watt-Hours signifies the energy needed to power one watt for one hour. This SPECTEC laptop battery can power 57.60 watts for one hour. If your laptop runs at 20.50 watts, as an example, this laptop battery could power your laptop for 2.8 hours.